Java is the heart of Indonesia. It is the historical center of Buddhist and Hindu culture and home to the nation’s sprawling capital city–Jakarta. With more than 100 million people, Java (locals say JAH-wah) is the most populated island in the world. It is the thirteenth largest island on earth in terms of land size. About 60 percent of all Indonesians live on Java, while the island only holds about 7 percent of the country’s land area. Java stretches from Bali to Sumatra, and it is framed by the Indian Ocean on its southern coast and the Java Sea to its north. This highly populated island has 38 volcanoes, many of which are still very active. Java is divided into three main regions—East, Central, and West Java. The island’s many roads and public transportation options make it easy to navigate. Toll roads are common throughout Java. Two trains cross the island from Jakarta to Surabaya, with stops along the way in Yogyakarta and other cities. In the Western world, the island of Java is synonymous with coffee. The Dutch began cultivating the crop here in the 19th Century. Back then this island produced about 75 percent of the world’s coffee. The island is still one of the top coffee producing regions in the world. The island also is famous for Java Man (homo erectus), a set of human fossil remains, which date back about 500,000 years. The fossils were found near the Brantas River in East Java. Since then, evidence of other prehistoric cultures also has been found, including the Solo Man discovery in Central Java. As modern civilization evolved, Javanese culture and language were heavily influenced by the cultures of the Indian subcontinent. In the 6th and 7th Centuries, many maritime kingdoms arose on Sumatra and Java. They controlled the waters in the Straits of Malacca and flourished with the increasing sea trade between China, India, and beyond. During this time, scholars from India and China visited these island kingdoms to translate literary and religious texts. In the early 1600s, the Dutch East India Company established its trading and administrative headquarters in Batavia (Jakarta). This capital, along with other coastal cities such as Semarang and Surabaya, was the focus of Dutch attention during most of the colonial period. The company maintained control over the mountainous interior of the island through indigenous client states such as Mataram in central Java. The sultanate of Yogyakarta, was formed in 1755 when the Sultanate of Mataram was divided in two by the Dutch East India Company. The Sultan Hamengkubuwono I spent the next 37 years building the new capital, with the kraton, or palace, as the centerpiece. To this day, this is the sacred sanctuary where Javanese culture is preserved. The island remains politically and economically dominant over the rest of the country, which leads to some resentment among various subcultures elsewhere in the country. While much of rural Java is very poor, the urban areas of Java are among the wealthiest, most highly developed regions in the country. All of the nation’s presidents have been Javanese. In Java, there are three primary native languages: Javanese, Sundanese, and Madurese. Others include Betawi, Banyumasan, Badui, Osing, and Tenggerese. Some locals use what is called Jakarta slang. The most prominent of the Hindu empires was the Majapahit Kingdom, based in East Java, where it ruled many of the Indonesian islands. The name of the Majapahit Empire is still used by today’s Indonesian leaders to promote unity and the legitimacy of the state. The Majapahit Kingdom moved to Bali in the 16th Century when Muslim kingdoms rose to power on Java. The earliest Muslim evangelists were called the Wali Songo—the nine ambassadors. Several of these evangelists were of Chinese origin, which brought variety to the religion as it swept through the Malay Penninsula. In addition, many Islamic practices on Java are mixed with longstanding local beliefs. Most Javanese are Muslim, but small Hindu enclaves are scattered throughout the island. A large Hindu population lives along the eastern coast, nearest Bali, especially around the town of Banyuwangi. There also are Christian communities, mostly in the major cities. Certain rural areas of south-central Java are strongly Catholic. Buddhist communities also exist in the major cities, primarily among the Indonesian Chinese. Followers of Kejawen, or Javanese mystical groups, also are found on the island. The three major cultures of Java are the Sundanese of West Java, the Central Javanese, and the East Javanese. In the western part of Central Java, the Banyumasan region, Javanese culture and Sundanese culture embraced each other to create the Banyumasan culture. In the central Java court cities of Yogyakarta and Surakarta (Solo), contemporary kings trace their lineages back to the precolonial Islamic kingdoms that ruled the region, making those places strongholds of classical Javanese culture. The classic arts of Java include gamelan music and wayang puppet shows. East Java has about 35 million inhabitants, second only to West Java among all Indonesian provinces. People of East Java include ethnic Javanese, Madurese, and several minorities, such as Chinese, Indian, and Arab populations. Bandung (BAHN-doong): With about two million inhabitants, Bandung is Indonesia’s fourth-largest city and the capital of West Java. It’s also the center of Sundanese culture. At 750 meters above sea level, it has a moderate climate and a rich history. Visit the Museum Geologi for its volcano exhibits. Tour the Bandung Institute of Technology and see its hybrid Indo-European architecture from 1920. Bogor (BOH-gohr): This city has essentially become a suburb of Jakarta, due to Jakarta’s sprawling growth. At about 1,000 feet above sea level, Bogor is noticeably cooler than Jakarta. The botanical garden Kebun Raya (Great Garden) is in the heart of the city. The massive garden is world-class and contains more than 15,000 species of plants and trees. The summer Presidential Palace is located on this special property. Jakarta (JAH-kahr-TAH): This sprawling city is located on the northwest coast of the island. Jakarta means “victory city.” It’s the capital of Indonesia and the largest city in the country. It has more than nine million people. The first recorded settlement at what is now Jakarta was the port of Kelapa, near the mouth of the Ciliwung River. Its origin can be traced to a Hindu settlement as early as the 5th Century. By the 12th century, it was a major port for the Hindu kingdom of Sunda. The Portuguese were reportedly the first Europeans to visit the port of Kelapa. A Hindu king granted Portuguese traders permission to build a fort at Kelapa in the early 16th century. Jakarta’s port is still at Sunda Kelapa today. In 1527, Fatahillah, a young leader from a nearby kingdom from the north, conquered the city. Fatahillah renamed Kelapa to Jayakarta on June 22, 1527, which is regarded as the official birth date of Jakarta. The Dutch came to Jayakarta at the end of the 16th century. In 1619, the forces of the Dutch East India Company, led by Jan Pieterszoon Coen, conquered the city and changed Jayakarta’s name to Batavia, the Latin name for the Netherlands. Batavia became the capital of the colonial Dutch East Indies. In the early 19th century, the city was expanded as the Dutch began moving south to higher-elevation areas. The British captured Java in 1811, while the Netherlands was preoccupied with the Napoleonic Wars in Europe. The British returned it to the Dutch after just five years on the island. With Dutch rule expanding across the Indonesian archipelago during the 19th and early 20th centuries, the importance of Batavia (Jakarta) increased. To maintain control and maximize tax revenue, the Dutch required nearly all exports from anywhere in the region to pass through the city, which established an overwhelming political and economic dominance that Jakarta retains today. Japan controlled the city during World War II and renamed it Jakarta, which helped it gain local support during its occupation. Following Japan’s defeat in 1945, the Dutch reoccupied the city, despite the declaration of independence by the Indonesians on August 17, 1945. Under international pressure, the war for independence ended with the establishment of Indonesia in 1949. Unlike other cities in Indonesia, Jakarta has a special provincial status, which empowers a governor instead of a mayor. Jakarta is divided into five districts called kotamadyas and each has its own local government structure. So many cultures have passed through Jakarta over the past 300 years, that it has acquired a world-class collection of old sailing ships. 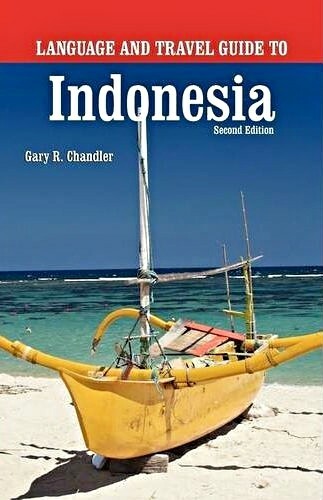 The ships are in an area known as Sunda Kelapa, the old Dutch port. In addition to a variety of well-preserved colonial vessels, it also has several examples of native Buginese ships. Semarang (SEHM-ahr-RAHNG): This is a large port city on the northern coast of Java. It is the provincial capital for Central Java. With more than 1.5 million people, it’s one of the largest cities on the island. When flying to the outer islands, travelers often must make connections through this industrial city. As a result of its large ethnically Chinese population, Semarang boasts several Chinese temples. These include Sam Po Kong (Gedung Batu), built in honor of the great Chinese Admiral Zheng He who visited the area in 1405, and Tay Kak Sie Temple. Blenduk Church, a 1753 Protestant church built by the Dutch, is located in the old town area called Oudstad. Tugu Muda is a monument to Indonesia’s independence fighters. It is located in front of Gedung Lawang Sewu and Semarang Cathedral, at the end of Jalan Pemuda, one of the city’s major shopping streets. Solo or Surakarta (SOH-loh): This is a fiercely proud city in Central Java. It has more than a half million residents and it rivals Yogykarta as the cultural capital of Java. Archaeologists discovered the fossils of Java Man just a few miles north of this city. The city also hosts two historic Javanese palaces that date back to the 1700s. It’s a very good place to enjoy traditional Javanese dance and music. Surabaya (SOOR-rah-BYE-ah): This is Indonesia’s second-largest city and a major business center. More than 2.5 million people reside in Surabaya, while millions of others pass through its ports and airport. It’s located on the far eastern tip of Java. It also is the base for Indonesia’s navy. Those who wish to visit the volcanoes of East Java likely will visit this city along the way. Surfers going to and from G-land also may pass through this busy city. Surubaya has a couple of golf courses and a good zoo, with Komodo dragons, tigers, and lions. There is a small historical and archaeological museum that features ancient Hindu artifacts from the Majapahit era. Yogyakarta (JOHG-jah-KAHR-tah): This is one of the best city destinations in all of Indonesia for travelers. Yogyakarta means “city of peace.” Yogyakarta is located in south-central Java. Approximately six million people reside throughout the province. Yogyakarta is a city and province known as the Special Region of Yogyakarta. It is the only province in Indonesia that is still governed by a precolonial Sultan—the Sultanate of Ngayogyakarta Hadiningrat. 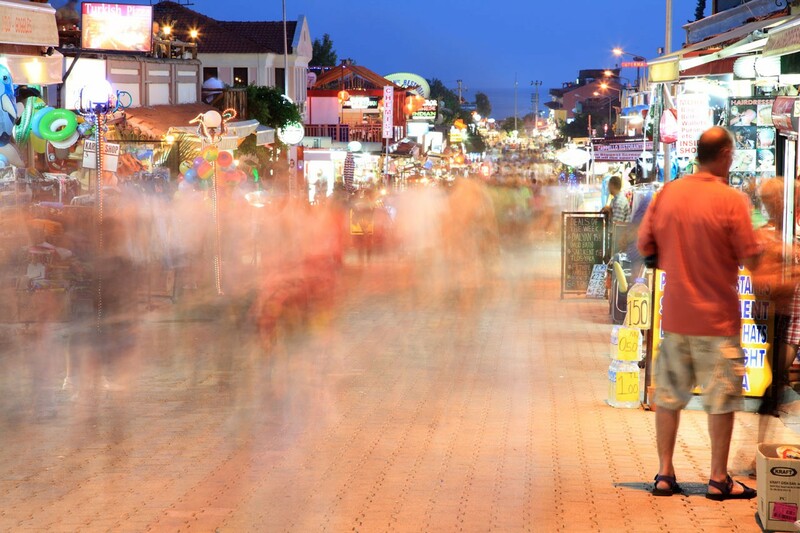 The city is known as a center of classical Javanese fine art and culture. Artisitic highlights include batik, ballet, drama, music, poetry, and puppet shows. It also is known for its vivid contemporary art scene. Yogyakarta also is the center for Indonesian higher education, with some of the most elite universities in Indonesia, including Gadjah Mada University, one of the largest and most prestigious universities in Indonesia. Other major universities in Yogyakarta include Universitas Negeri Yogyakarta, Universitas Islam Indonesia, Universitas Sanata Dharma, and Universitas Atma Jaya Yogyakarta. The city sprawls in all directions from the Sultan’s Kraton at the center. However, the real core of this modern city is to the north. Jalan Malioboro, with rows of sidewalk vendors, is the primary shopping street for tourists, while Jalan Solo, further north, is a shopping district frequented by locals. At the southern end of Malioboro, is the large local market of Beringharjo, which is near Fort Vredeburg, a restored Dutch colonial fortress. The Yogyakarta region stretches from the south coast of the island to Mount Merapi, an active volcano that overlooks the city. Nearby destinations include the beaches at Parangtritis, the mountain resort town of Kaliurang at the base of Merapi, and the Hindu temples of Prambanan. The Buddhist temple of Borobudur often is visited from Yogyakarta. The city is located on one of the two major railroad lines across Java between Jakarta and Surabaya. It has two passenger railway stations and Tugu is the major intercity station. The city also has an extensive system of public city buses, and is a major destination for inter-city buses across Java or Bali, as well as taxis and becaks. Motorbikes are the most common personal transportation, but an increasing number of residents own automobiles. Yogyakarta also is near numerous active volcanoes. At 9,500 feet above sea level, a smoldering Mount Merapi towers over the city. It is one of the most active and deadly volcanoes in this country. A massive earthquake shook the area in 2005, which killed hundreds of people and damaged many local landmarks. Java is an archeological haven, with Borobudur, Prambanan, and other historic sites nearby. Both date back more than 1,000 years and they are among the best of the ancient temples in Asia. The island also is a prominent center of modern archaeology and anthropology, with numerous local fossils displayed across the island. Borobudur Temple (BOHR-roh-BOO-door): When scholars and historians speak of the world’s great Buddhist temples, most conversations include Borobudur—the world’s largest Buddhist temple. Borobudur means “monastery on the hill” and it is most famous for its many stone-carved panels depicting the life and teachings of Buddha. It features more than 1,000 narratives in all on walls that form the temple itself. The massive structure includes at least two million stone blocks. This monumental structure was constructed in the 9th century and it dominates an entire hill near Yogyakarta. Some scholars believe that Borobudur is a gigantic textbook about Buddhism to help people achieve enlightenment. To read this Buddhist textbook one must walk more than two miles to unveil all of its massive stone pages. The walls of the galleries are adorned with impressive reliefs illustrating the life of Buddha Cakyamuni and his teachings. On the three uppermost terraces, 72 stupas circle the huge main stupa at the top of the monument. The circular form represents an eternity without beginning and without end, a superlative, tranquil, and pure state of the formless world. There are no reliefs on the three circular terraces. Despite its massive size, Borobudur was lost for many years. The temple was abandoned with the rise of Islam, and the halls that once echoed with the pilgrim footsteps of scholars, artists, and priests were overrun by the dynamics of volcanic ash and jungle growth. Sir Thomas Stamford Raffles began reclaiming it in 1814, after he received a report about the discovery of a hill full of many carved stones. The best photographs of Borobudur are taken during the early evening, when the setting sun bathes the stone with a warm glow. When it rains, watch the water pour out of the mouths of the gargoyles on the lower levels of the temple. Bus service to the monument is available from Yogykarta. Visitors do not need a sarong to tour the complex. Borobudur is located in the province of Central Java, 40 kilometers northwest of Yogyakarta. Candi Gedongsongo (CHAHN-dee GEHD-ohng-SOHN-goh): This is a series of Hindu temples strung along the hillside of a farming community in Central Java. A hike all the way to the last temple takes more than an hour. However, the admission fee includes an escorted horse ride. The temple is located above the road between Semarang and Yogyakarta. Dieng Plateau (DEE-ehng): This complex of ancient Hindu temples sits high in the hills of Central Java. The temples are less than spectacular, but the view of the valleys and volcanoes in of Central Java is worth the trip. It’s 26 km from the village of Wonosobo. Istiqlal Mosque (EES-teek-LAHL): This is the largest Islamic temple in Southeast Asia and one of the largest in the entire world. Located on the perimeter of Medan Merdeka in Jakarta, on the northwest side of the square. Jakarta Zoo: This is Indonesia’s largest zoo and features Siberian tigers, black leopards, Komodo dragons, and orangutans. The rare and endangered animals here present good educational opportunities for travelers who don’t see them in their natural Indonesian habitat. Kraton in Yogyakarta (KRAH-tohn): Built in 1757, the Kraton is a very significant and historical site. It is the palace compound of the Yogyakarta sultans. Following World War II, in a battle for independence from the Dutch, the Kraton was the last stronghold for the Javanese resistance. The Dutch were reluctant to overtake or destroy the Kraton because such a move would likely draw international attention and sympathy. On December 27, 1949, with the urging of the United Nations, the Dutch granted Indonesia its independence. Mount Bromo-Tengger National Park (BROH-moh TEHN-gehr): Local Hindus set aside this volcanic region of East Java as a sacred place centuries ago. To this day, thousands of people make a yearly pilgrimage to the park to honor the massive volcano Mount Semeru, which they consider to be a god. The landscape of Bromo-Tengger is spectacular. The park is situated around a group of volcanoes that rise up thousands of feet from sea level. At 11,974 feet above sea level, Semeru is Java’s highest mountain. It is still active and erupts frequently. Mount Bromo rests in what is known as the sand sea, which is the caldera of another volcano that became extinct long ago. Bromo is active and spews sulphur smoke constantly. Visitors can trek to the mountain on foot or horseback. Once at Bromo, a man-made stairway takes hikers to the crater’s rim. Locals call it the stairway to heaven. Once on top, a trail takes hikers completely around the rim. It’s possible to see the floor of the volcano. Hikers accumulate a very fine volcanic ash on their bodies. Walking slowly helps keep the dust down. Be sure to cover cameras and other delicate items to avoid damage from the tiny particles. Visitors to Mount Bromo can look south and see Mt. Semeru. This is another popular place to hike and watch the sunrise. Be prepared, though. The early mornings at this elevation are cool and crisp. Mount Bromo is near Probolinggo and Pasuruan, in East Java, 70 kilometers from Surabaya. Mount Merapi (MEHR-rapi): This is one of the most impressive and destructive volcanoes in Indonesia. Gunung (mountain) Merapi usually is visible from Yogyakarta. Smoke constantly spews from the massive mountain, which reaches an elevation of 9,600 feet. Hikers can climb Merapi when it’s not too active. The hike takes plenty of planning and two or more days to accomplish. It’s advisable to join organized assaults that are led by locals. Ask your hotel for more information. Located North of Yogyakarta. National Museum: This museum contains a huge collection of Indonesian arts and crafts from several eras and regions of the country. Located on the western edge of Merdeka Square in Central Jakarta. Parangtritis (PAHR-rahng-TREE-tees): This is the beach area south of Yogyakarta. The surf is rugged, rocky, and poor for swimming, but it’s still the best beach near Yogyakarta. The beach itself is smooth and easy to walk. The beach faces south and southwest, similar to Kuta Beach in Bali, so the sunsets over the Indian Ocean are fantastic. It’s about 20 km south of Yogyakarta. Prambanan (PRAHM-bahn-AHN) – Prambanan is the largest Hindu monument in Indonesia. It was built around 850-900 A.D. The temple has been damaged by centuries of earthquakes, vandals, and other forces. Not long after its construction, the complex of temples was abandoned and allowed to deteriorate. 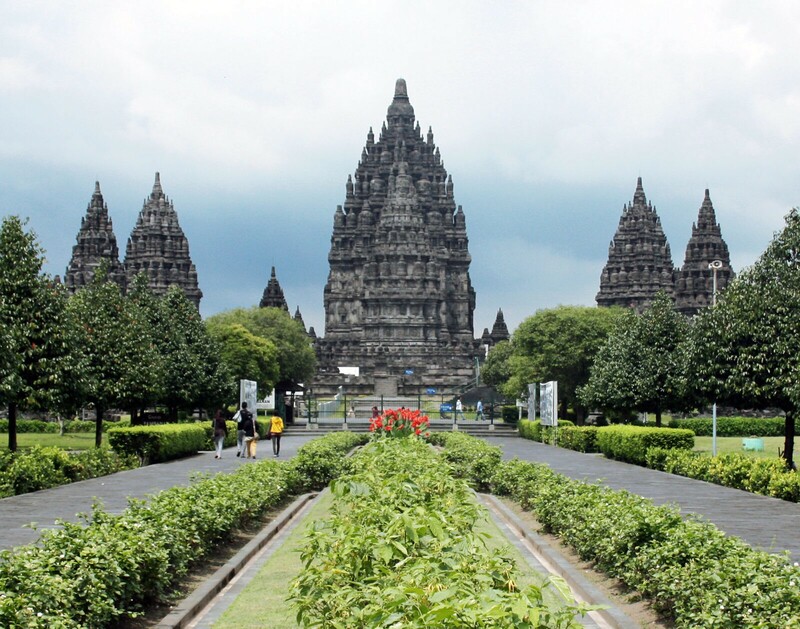 Prambanan now is a UNESCO World Heritage Site and one of the largest Hindu temples in Southeast Asia. It is characterized by its tall and pointed architecture and by the centerpiece structure, which reaches more than 150 feet high. The compound consists of eight main shrines or candis and more than 250 smaller ones. The three main shrines, called Trisakti (three sacred places), are dedicated to the three gods: Shiva the Destroyer, Vishnu the Keeper, and Brahma the Creator. The reliefs along the 20 sides of the temple depict the Ramayana legend. This story is animated by the Ramayana Ballet. Located in Central Java, approximately 18 kilometers northeast of Yogyakarta. The Ramayana Ballet (RAH-mah-YAH-nah): For a good taste of Javanese culture, see the Ramayana Ballet at the Prambanan complex, near Yogyakarta. The best performances occur around the full moon. The whole presentation includes The Abduction of Shinta, Hanoman’s Mission, The Death of Kumbokarno, and Shinta’s Trial of Purity. About 200 dancers and a gamelan orchestra produce an elaborate performance, based on the Hindu epic The Ramayan. Adding to the drama is the backdrop of the ancient temple. Tickets are available throughout Yogyakarta or at the Prambanan village. Ujung Kulon National Park (OO-joong KOO-lohn): This is the most remote place on the island of Java. 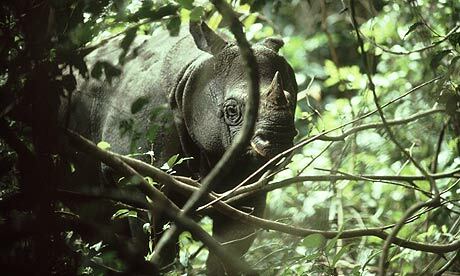 Located on the extreme southwest corner of the island, this national park was designated by the Dutch in 1921 to preserve the Javan rhinoceros. Today the rhino population is around 50 animals, but strong conservation measures may increase their numbers in the future. Wayang Kulit (WAH-yahng KOOL-eet): See the shadow puppet performances on the street at night near the Kraton in Yogyakarta and elsewhere on Java. With the help of an illuminated screen, the puppet master produces an entire play with shadows cast from lights behind the stage. These performances are popular with locals and visitors alike.